1) Do you really need all the bells and whistles? Look beyond the next year or two and think about how your website might grow. Then make sure that the CMS under consideration can support that growth. For example, just because you are not using Salesforce or a marketing-automation platform on your website today, doesn’t mean you won’t in the future. Also ask yourself if your choice will support a growing reliance on mobile access? Will it scale effectively to include a large pool of guest contributors? 3) Is there a strong company or community backing the CMS? Down the road, when you are ready to make significant changes to your site’s structure, layout, or presentation, you will want a CMS with an active company or community behind it. Without it, transitioning your repository of content will be a challenge — to put it lightly — assuming you are able to do so at all. It’s particularly important to be cautious of open-source CMS options, which may not have a traditional company providing around-the-clock support. If you go the open-source route, make sure your choice has a robust community to answer questions you may have. If you purchase a content management suite, be sure the developer has the resources to support its product and be confident that the company will still be around in five or 10 years when you inevitably need to update your website. Making your selection based on your particular circumstances — and those that may arise in the future — will serve you much better than simply following the crowd. What CMS are you using and how happy are you with it? 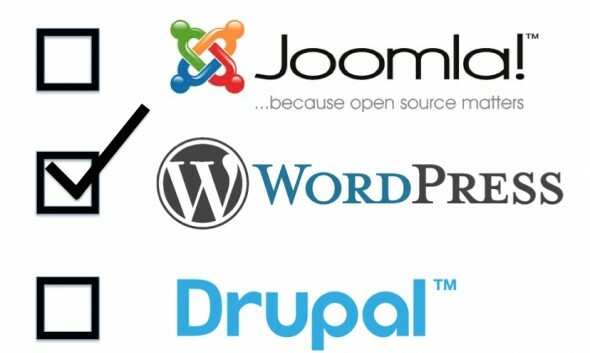 I use primary a WordPress, secondary ImpressPages and… tertiary maybe a Joomla!